ALPENA, MI — Some area kids got in character this weekend, dressing up like some of their favorite figures from a popular children’s movie and book series. 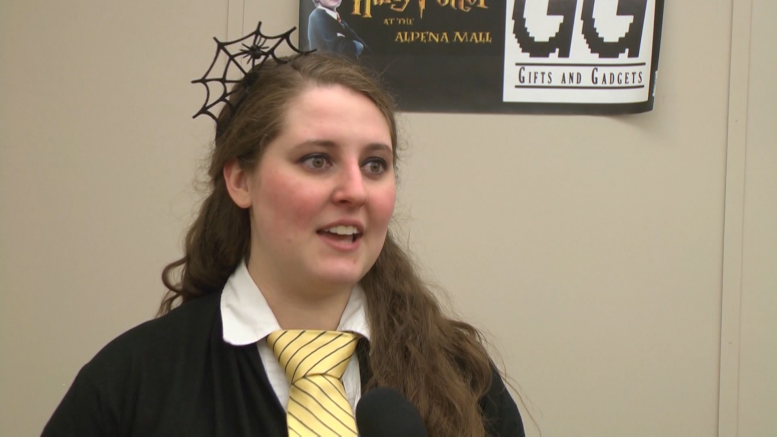 The Harry Potter Expo at the Alpena Mall brought out dozens of adults and children decorated in Harry Potter–themed garb. Event organizer Nichole Keyes says the event came about last year as an effort to bring people together. Keyes says beyond the popular theme of the event, she was happy to see participants make new friends from of their love of Harry Potter.